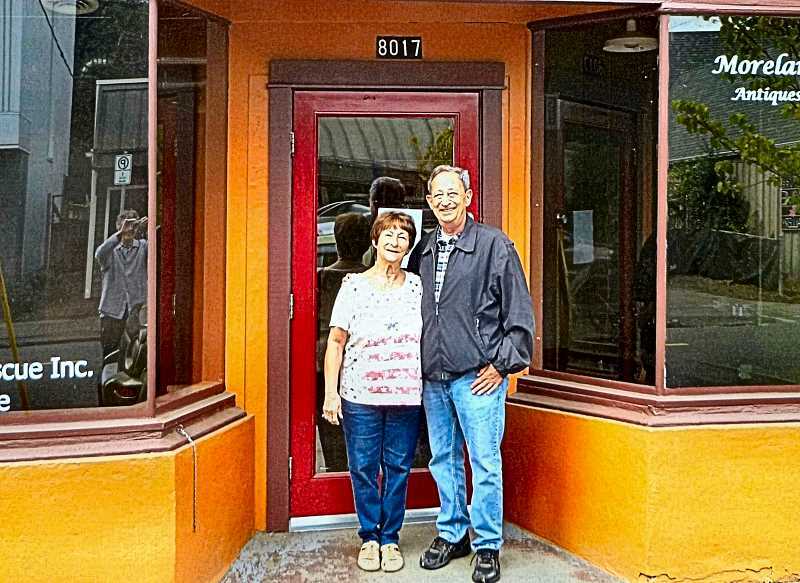 In August, Michael Gasparre and his younger sister Fran Maxon revisited their former neighborhood, so Mike could attend his 60th class reunion at Sellwood School. Before they returned to their homes, I connected with them through SMILE Station manager Lorraine Fyre, and they shared some interesting memories, photos, and documents with me. In addition to catching up with former schoolmates and family members and hearing stories about their childhoods in Sellwood, other topics entered our conversation -- touching on immigration, public education, and child labor laws. The first of their family members to arrive in America were their grandfather Michael, his wife Maria, and their two sons, Dominic (Dom) and Guiseppe (Joe). Michael was born in 1900 in Sannicandro, Bari, Italy – a town on the Adriatic Sea. In 1920 he arrived in New York City, leaving his wife Maria (Mary) and their two young sons, ages two and one, in Italy. By 1922 Michael had found his way across the country and established a shoe repair shop on S.E. 13th Avenue (now 8017 S.E. 13th) in Sellwood. It was a period when people purchased leather shoes and boots with stitched, not molded, soles. When the soles and heels were worn, the footwear was mended or renewed by a skilled cobbler like Michael Gasparre. After eight years in America, Michael had prospered, and he was ready to bring his family to live with him in the house behind the shop, which is still visible from Southeast Thirteenth Avenue. In order to do this, he filed a petition in the Multnomah County Court. His grandchildren Fran and Mike provided a copy, whose language is very interesting. "I am a shoemaker with a wage of $200 per month; I have $5,000 on deposit at the Sellwood Bank; I am the owner of said business, and have stock worth $3,500, and have $500 cash on hand. "It is my intention to make the United States my permanent home and my desire to have my wife and sons, all born and residing in Sannicandro, Italy, join me here. . .
"I do further promise . . . that neither of them [his two sons] will ever become a public charge or a burden upon the United States . . . and should either of them for any reason become subject to deportation that I will reimburse the United States the cost of such deportation. "I promise . . . to send my minor relatives to school until they are 16 years of age and to see that they are not compelled to perform labors unsuited to their years." The petition was successful and Maria, Dom, and Joe joined Michael, and lived in the house "behind the store" for two years. At this time a daughter, Rose, joined her two brothers. They then moved to 1622 S.E. Harney, where they remained until they assumed permanent residence at 1604 S.E. Rex Street, remaining until 1957. Fran states that it was challenging for her father Dom, who was eight years old when he entered the first grade at Sellwood School, because he read and spoke only Italian. However, he was assisted in his lessons by his schoolmates, and remembered very fondly his teacher, Mrs. Lincoln, who gave him steady encouragement. Years later at one of his own school reunions he was able to thank her in person. The Gasparre family were members of St. Agatha's Parish, and all three generations went to Mass faithfully on Sundays, although the children attended the local public schools. Fran's father Dom graduated from Benson High School, and became a route manager for the city's afternoon newspaper, the Oregon Journal. He married a woman from a "big German family" in the Brooklyn neighborhood, whose maiden name was Fieger. Soon Mike and Fran were born, and the family lived at 1126 S.E. Nehalem Street, just a few houses west of their grandfather's shoe store. Mike and Fran had a wide circle of friends from their days at Sellwood School, which offered kindergarten through eighth grade when they attended. Mike was four years older than his sister, and had an after-school paper route. He picked up the Journal at a building (now gone) between the fire station (now SMILE Station) and the recently replaced Black Cat Tavern (corner of 13th and Umatilla) – Mike recalls that their Kitty Kat burgers were "the best" he has ever eaten. Some of his earnings were spent on Mountain Bars, which he purchased "coming and going" to school at a sweet shop on Umatilla Street (behind the K&K Photo Shop). The siblings both remember the famous cheetah (Fran recalls more than one) in a fenced area behind their owner's office on Umatilla Street. Donald Nickelsen, M.D., was remembered for giving his "cat" rides in his convertible, but Fran said that "you never stuck your fingers through the fence." Other fond memories include swimming at the Sellwood Pool, stopping afterwards at the grocery store at Miller Street for refreshments; roller skating at Oaks Amusement Park, and movies every week at the Sellwood Theater on Tacoma Street (now Columbia Sportswear). Although they had little contact with the children who attended Llewellyn School, seldom venturing north of Malden Street, they did go to the Moreland Theater on Saturdays for movies. Mike confessed that on Hallowe'en he and his pals soaped the shop windows on Thirteenth Avenue, except for a certain shoe repair shop; and they trekked all the way south to Garthwick for trick-or-treating, because the residents there gave out regular sized, not miniature, candy bars. 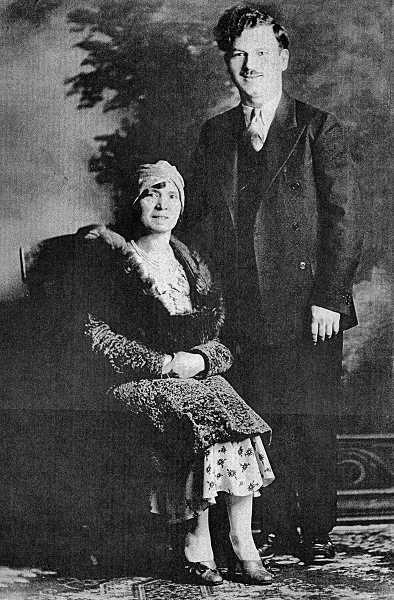 The Gasparre children probably would have completed their educations at Cleveland High School (Mike attended for two years) – but their father decided to search for a job in the San Francisco area, in part due to an impending union strike of the Portland's two main newspapers. On November 10, 1959, the members of the Stereotypers Union went on strike against both papers and began picketing. Dom Gasparre was in charge of a distributorship and did not want to strike, but neither did he want to cross a picket line. The previous year his father Michael had, after 35 years, closed his shoe repair shop, and he and Maria had moved to Pacific Grove, California. Dom's brother Joe and sister Rose already lived in California, so Dom applied for and was offered a job at the San Francisco Chronicle, to start in early 1960. On New Year's Eve, 1959, Dom and a friend loaded a rental trailer with eight 5-gallon containers of homemade red wine (winemaking was a skill he had inherited from his father), concealed them under piles of clothing and household possessions, and headed for California. Fran remembers being afraid that her father would be caught at the California border by the state's Agriculture inspectors, but he arrived safely. The plan was for his wife and children to remain on Nehalem Street in Sellwood until the house was sold, then organize the move and join him in San Francisco. However, the Portland newspaper strike, which was to last until the picket line ceased in April, 1965, turned ugly, with fist fights – and, in late January of 1960, with the bombing of ten delivery trucks. In the weeks after her husband's departure, Mrs. Gasparre had begun getting threatening phone calls at home, the callers evidently unaware that Dom had left Portland. When he heard the news, he told his wife not to wait any longer; to fill some suitcases and leave for California on the train. Fran and Mike were the last of three generations of the Gasparre family to live in Sellwood. They graduated from high school in California, but they return regularly to visit their many cousins in Portland and, as they did this summer, attend school reunions. It was a pleasure to meet them, walk familiar streets, and hear these stories about their years in Sellwood.